Watching 40-year-old Special Olympics Missouri athlete Bobby Williams play tennis, you might not notice he lives with an intellectual disability. 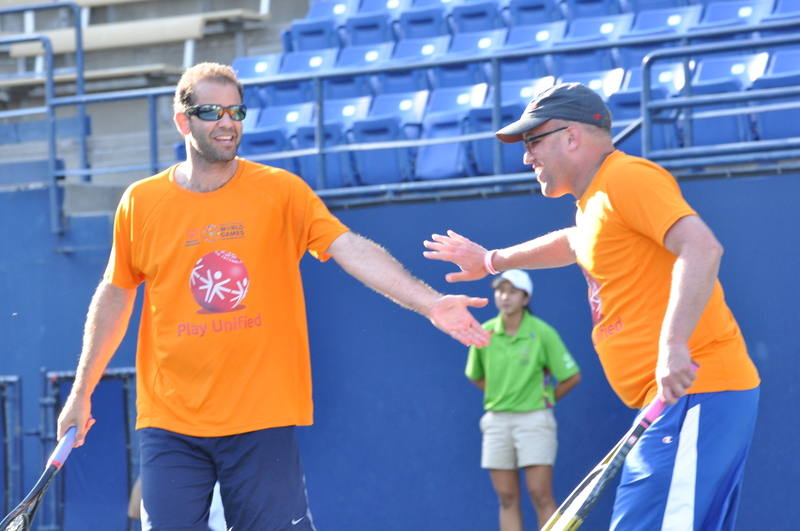 Williams, who is from Lee’s Summit, has been smashing balls over the net during Special Olympics tennis matches for more than 12 years, clinching three gold medals during two appearances at the Special Olympics USA Games. This summer, Williams brought home gold and silver medals from the 2015 Special Olympics World Games in Los Angeles. 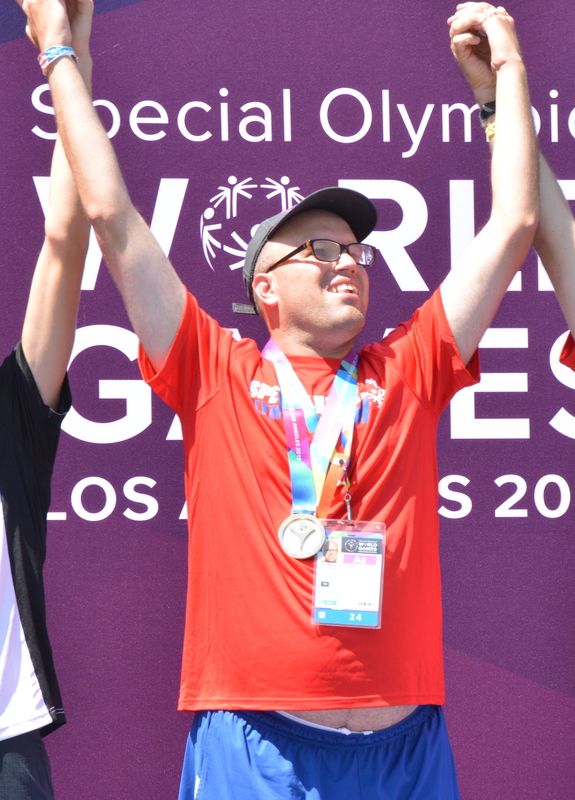 Bobby Williams at the 2015 Special Olympics World Games in Los Angeles. Special Olympics Missouri serves more than 16,500 people with intellectual disabilities in Missouri each year. Soon, these athletes will have a world-class training facility, thanks to the generous support of businesses, organizations, and individual contributors. In mid-January 2015, Jefferson City was selected as the site for the Special Olympics Missouri Training for Life Campus (TLC), following the donation of 15.5 acres of land by the Farmer Holding Company and Twehous Excavating LLC. The Training for Life facility will be the first of its kind built to improve the lives of people with intellectual disabilities through sports training and health programs. The 44,000-square-foot campus will offer year-round training and education for athletes, coaches, and volunteers from throughout the state. The facility will allow additional services such as health screenings and expanded youth sports programs for children three to seven years of age. With an estimated 100,000 Missourians living with an intellectual disability, this campus will give Special Olympics of Missouri the opportunity and resources to expand its reach beyond the current people they serve. Rob Kingsbury, principal of Farmer Holding Company says he had been following the progress of TLC when he realized he had the perfect spot to house the facility. “We had this light-bulb moment that we could donate a portion of our ground to make it happen,” says Kingsbury. Kingsbury has strong ties to Special Olympics, having served as a volunteer while in college at Texas A&M. 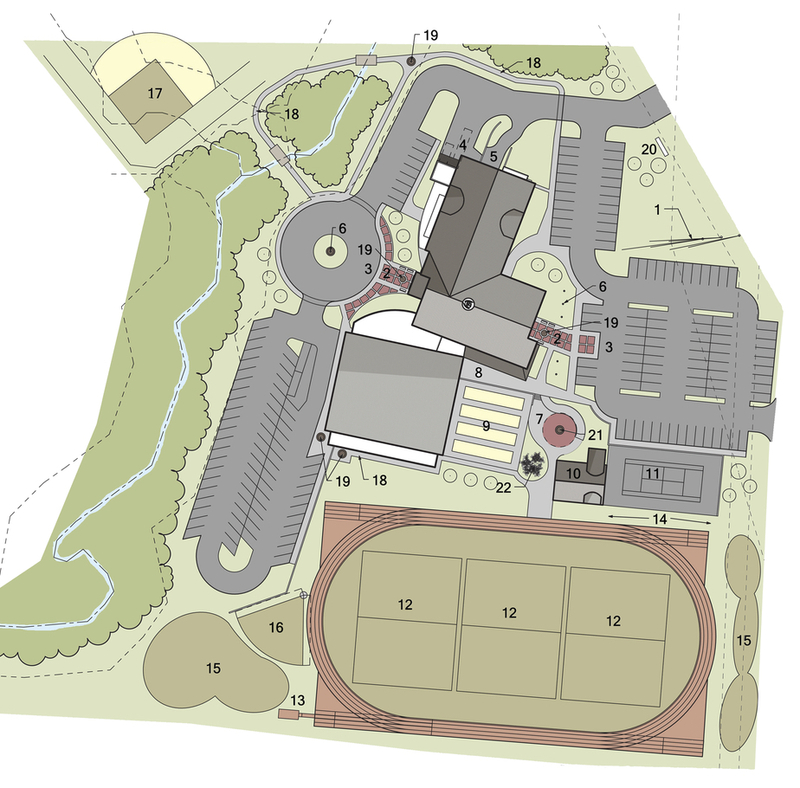 Plans for the new Special Olympics of Missouri Training for Life Campus. The donation was part of a collective, Olympic-sized effort by the Jefferson City business community. 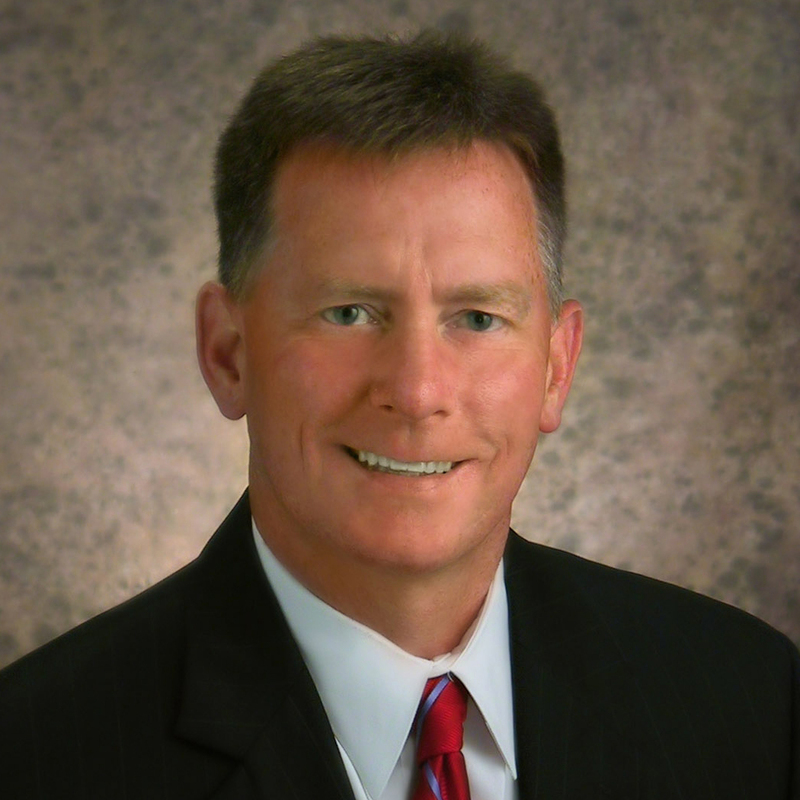 The Jefferson City Area Chamber of Commerce played a critical role in rallying strong support. An important goal of Special Olympics is to provide health screenings at the new campus and a task force of Jefferson City area health care providers was assembled to address this need. Capitol Region Medical Center, SSM Health, Jefferson City Medical Group, Jefferson City Area YMCA, Lincoln University, and Jefferson City Parks and Recreation all provided support letters and will continue to be involved in developing the program. A commitment to raise funds for the project was another requirement of Special Olympics, so the Jefferson City Chamber called on its Civic Progress Committee, including representatives from Jefferson Bank of Missouri, Hawthorn Bank, Central Bank, and Ameren, to help raise funds in the capital campaign. Jefferson City companies, such as Learfield Communications, have taken the campaign to another level by getting their employees involved. Learfield employees have worked as coaches and volunteers at area and state competitions and have raised more than $75,000 through various company-sponsored events, including rappelling down the side of Missouri state buildings in the Over the Edge fundraiser. To date, 701 businesses and individuals have contributed to the Training for Life Campus, raising more than $11.4 million of the needed $15.8 million. Construction of the campus will not begin until the full goal is met, but officials expect to reach the final goal in 2016 and be open in 2017. The support of Jefferson City’s businesses will pay big economic dividends for the entire community. The campus is projected to generate approximately 2,000 hotels room nights every year to accommodate athletes, coaches, volunteers, friends, and family that will visit the facility. Most importantly, the Training for Life Campus will help more Missourians, such as Williams, to be involved in Special Olympics and live fuller, healthier lives.